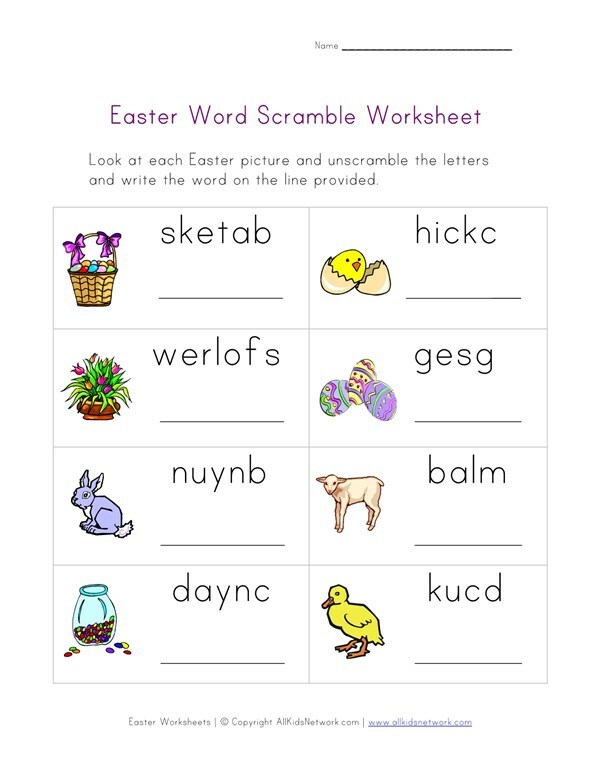 Have fun with this printable Easter word scramble worksheet for children. 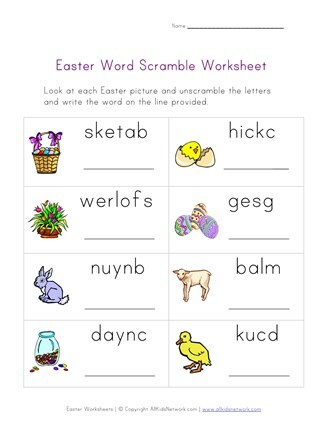 Kids will have fun learning by trying to unscramble the Easter words that go with each picture on this printable worksheet. Print this worksheet out with the rest of our Easter worksheets.